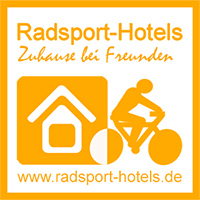 The distance from aiport Frankfurt-Hahn to our hotel is 15 km. We wich yo a good stay here. The airport Frankfurt_Hahn is situated at a distance of only 20 minutes from our hotel in Enkirch on the river Mosel, representing a gateway to the world to our house. We`re connected to almost all parts of Europe thanks to intensive activities of the Irish airline “Ryanair”. Their routes stretch from the Canary Islands to Norway and from Ireland to Bulgaria. To name but a few destinations: Barcelona, Santander, Porto, Rome, Milano, Venice, Kerry, Dublin, Glasgow, London, Oslo, Göteborg, Tampere, Riga, Prague, Danzig, Palma de Majorca, Breslau. Another new airline to establish itself at Frankfurt-Hahn recently is the Icelandic airline “Icelandair”. It offers a connection to and from Reykjavik/Island twice a week. Since March of this year the beautiful Mosel area has become a recreational area for our German capital Berlin. People living there can almost directly head to a local wine-grower for a delicious meal or an excellent bottle of within slightly more than an hour´s flight. Via airport Hahn you´ve got the possibility to reach the river Mosel with its beautiful landscape, its castles and its friendly people within a very short time. Profit from this opportunity and surrender for some days to the joys of wine and culinary treats the region has to offer. Please contact us. It would be a pleasure for us to help you organize your trip.